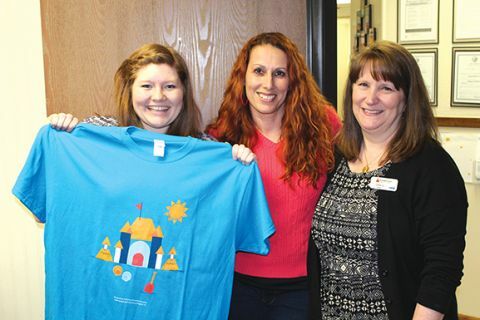 Aubrey McCain (teacher wearing the shirt she designed),; Jamie Roberts, Sr. Director of Content & Creative (pink top); Dawna Allred, Center Director (black sweater); Kelly Wagman, District Leader (black flower top). 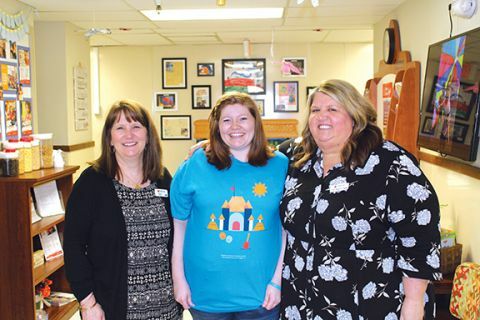 CITRUS HEIGHTS, CA (MPG) ­- Local Citrus Heights KinderCare teacher Aubrey McCain won a national design contest; Celebrating early childhood education, her T-shirt design will be featured on more than 180,000 shirts across the country. Aubrey’s design was chosen out of more than 10,000 entries from 690 KinderCare centers. Aubrey has been with KinderCare for more than three years and was surprised with this award in her preschool classroom.